GOODYEAR, AZ — Authorities have released new information as detectives work to track down a homicide suspect on the run since last year. The Maricopa County Sheriff's Office says Melkyseddek Munoz-Garcia abducted his ex-wife, Laura Hernandez, on June 8, 2018, from her workplace in Deer Valley. She tried to escape near the intersection of MC-85 and Estrella Parkway in Goodyear. Munoz-Garcia chased her down in the road and used a gun to "publicly execute" her, MCSO said in a news release Friday. Munoz-Garcia was first named as a suspect about a week after the shooting. MCSO says investigators have yet to track him down, but have determined he had a history of domestic violence against Hernandez, including an aggravated assault conviction from 2012. Munoz-Garcia is originally from Chihuahua City, Mexico and still has family in that area. He may be working in construction or as an auto or motorcycle mechanic and has been known to pass himself off as an auto-broker, MCSO said in a news release. He has used several aliases, including Melky, Octavio Olivas, Octavio Olivas Martinez, and Oscar Munoz. 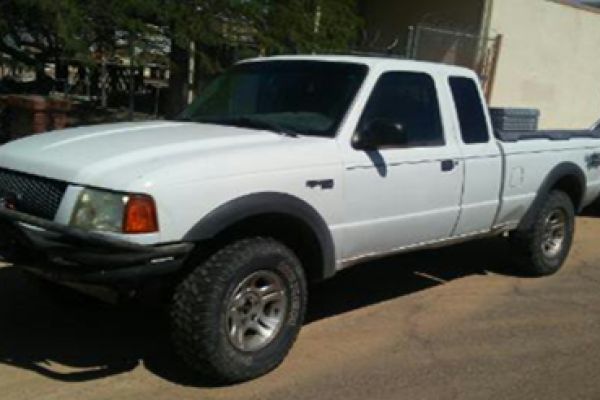 He was last believed to be driving a 2001 white Ford Ranger (pictured below) extended cab with Arizona license plate BTV5380, which was registered to Hernandez. Anyone with information about Munoz-Garcia is asked to call the Maricopa County Sheriff's Office at 602-876-1011 or 602-876-TIPS (8477). Thoughts? Munoz-Garcia was still at large at least as of February 1st, 2019 since that is when a new publicity push went out in Arizona media. This is a scary case and only an animal would do what Munoz-Garcia is accused of, so he really needs to be caught. Melkyseddek is one alleged monster that women everywhere should stay clear of. Tragically Laura had to endure at least six years of domestic violence before she was basically executed. Her family really needs justice in her memory.